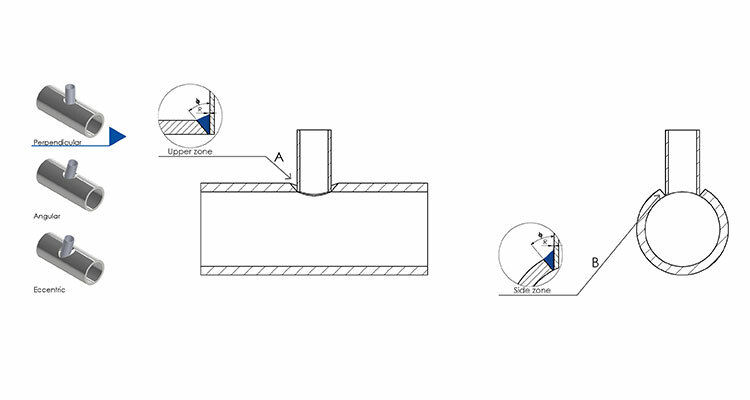 The SPC 660–1200 chuck-type Pipe Cutting Line combines the roller bed principle for an uninterrupted material flow, while controlling the rotation of the material with a floating chuck registering linear displacement. This SPC 660–1200 RB combines a continuous material flow with extreme accuracy. The material is loaded to the infeed buffer table, the material lengths are fed into the cutting area. The finished parts are then fed out to the outfeed buffer tables for further processing. 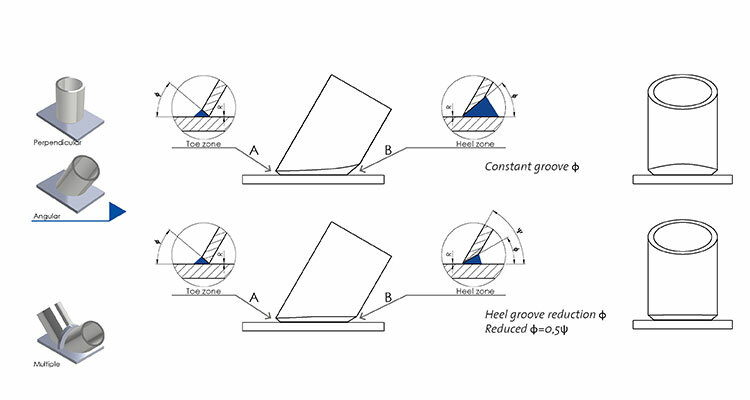 Instead of using extreme force to keep the material in its place, linear movement is measured and compensated on-the-fly. The mix between the advanced mechanical design and the controls managing the CNC axis result in highly accurate cuts each and every time. Using data that has already been entered into a CAD model is even more important. The SPC 660–1200 RB is equipped with an in-house developed software suite, allowing interface with any design system generating NC data files. 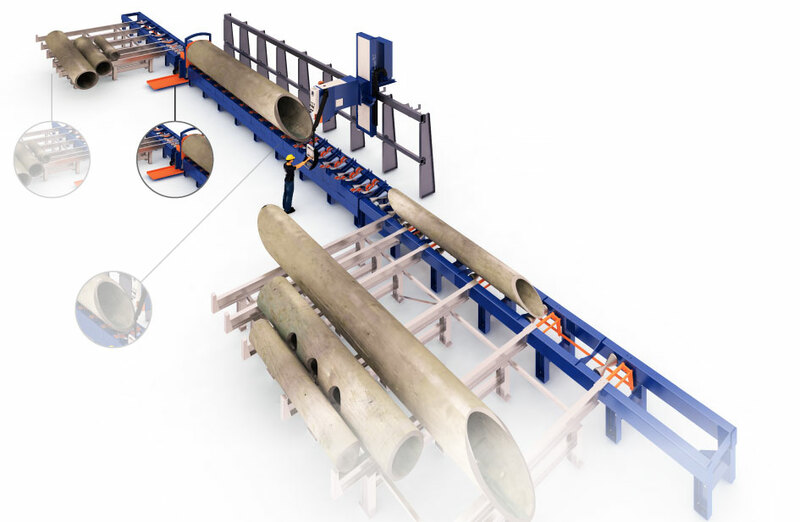 Volumes and pipe sizes differ from project to project, demanding a flexible Pipe Cutting Line that prevents machinery from sitting idle in the workshop. Using traditional methods, a fabricator can typically cut 10-20 tons of pipes per day. 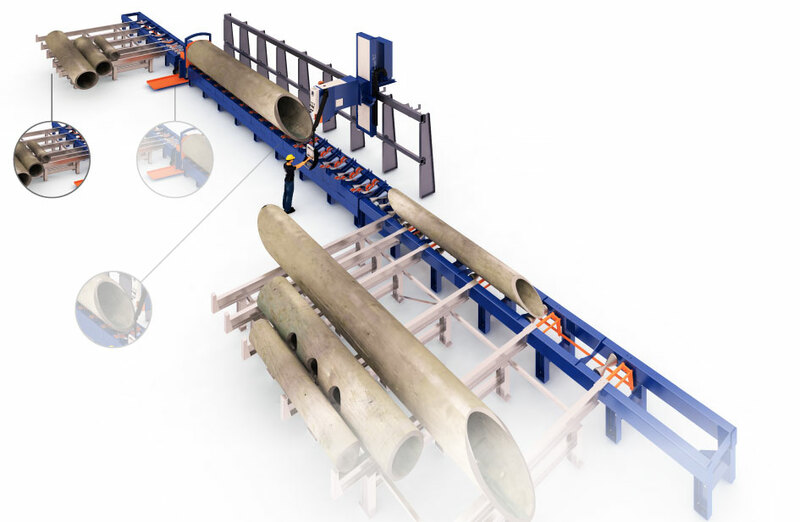 With a plasma pipe cutting line, a fabricator can easily cut over 40 tons of pipes a day. Industry application: plasma pipe cutting for stadiums, bridges, theme parks, expo centers, airport structures, shopping malls, cranes, trusses. HGG’s SPC 660–1200 RB Pipe Cutting Line automate and simplify the way fabricators keep welding booths supplied with enough spools cut to tolerance, preventing skilled welders from wasting their time fitting. 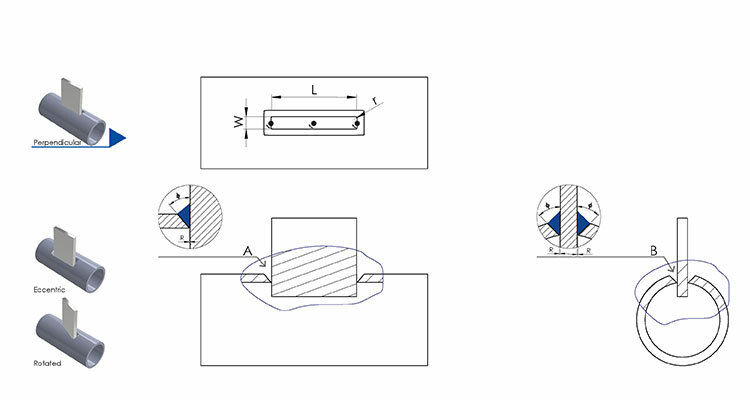 Preparing a typical header with 82 beveled holes, is typically reduced from 26 hours to 2 hours. More and more offshore fabricators are solving their highly deadline-driven production challenges by automating their cutting processes. Manually, a fabricator can typically cut a heli deck consisting of 95 pipes in 240 hours. Using an HGG Pipe Cutting Line a fabricator can cut these same 95 pipes in less than 40 hours. 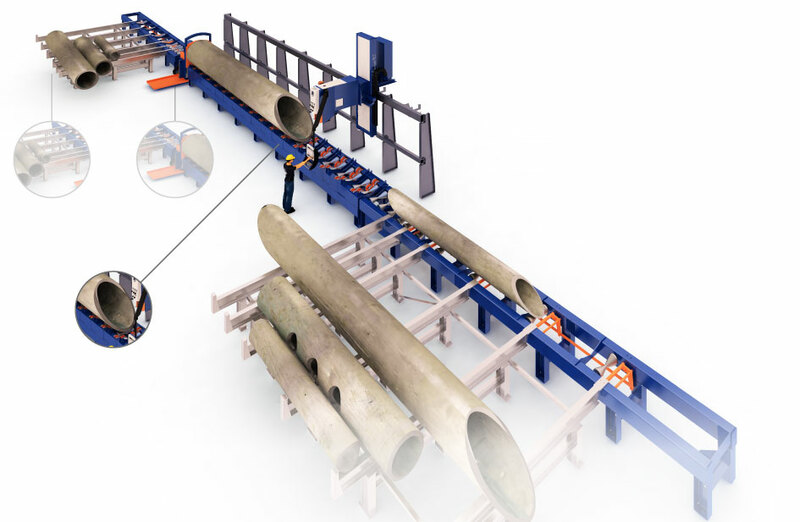 HGG’s SPC 660–1200 RB Pipe Cutting Line automate and simplify the way shipyards are keep welding booths supplied with enough spools cut to tolerance. 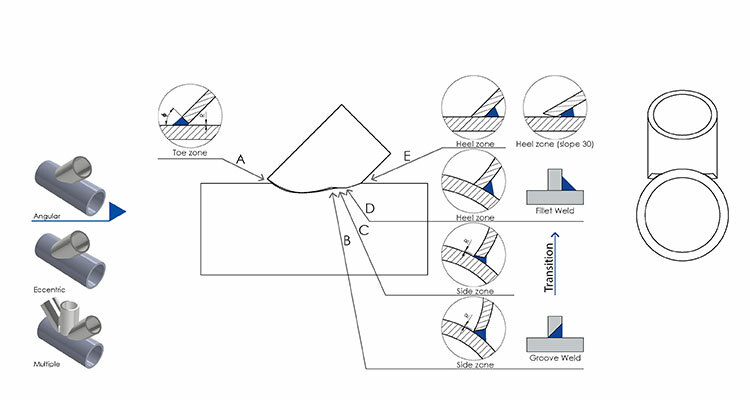 This also prevents skilled welders from wasting a lot of time fitting. 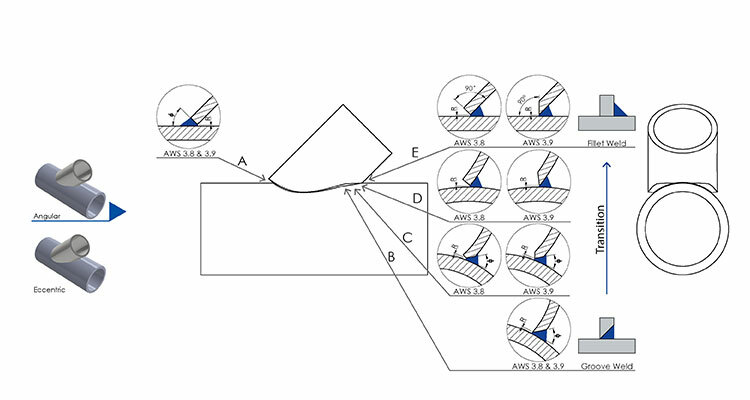 Processing 15 nozzles is reduced from 13 hours to 1 hours. Want to know more about the CNC pipe cutting machine, SPC 660–1200 RB?